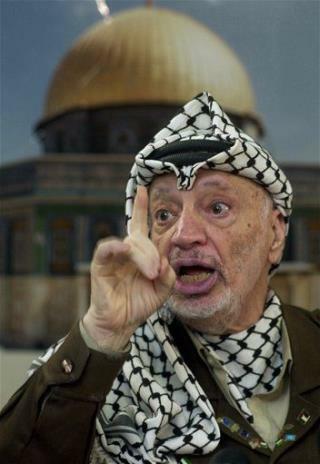 (Newser) – Following reports that point to possible polonium poisoning, the Palestinian Authority is prepared to exhume Yasser Arafat's body for an autopsy. Arafat's widow, Suha, sought the exhumation after samples of his clothing, which she provided to al-Jazeera, revealed significant traces of the same poison that killed Russian dissident Alexander Litvinenko . "I want the world to know the truth about the assassination of Yasser Arafat," Suha said, citing Israeli and US conflicts with the leader. dude be dead just let him rot in hell!